From the year 1998, our company has been specialising in the field of spare parts, equipment, chemical products and accessories for automobiles. 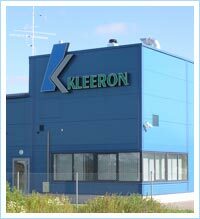 We also have long-term relationship with many distributors all over Estonia – stores, workshops and wholesales. There are always over 23 000 kinds of products and our product range is always growing. 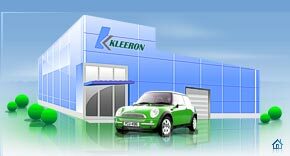 Our company’s personnel are young and energetic people who are ready along with OÜ Kleeron to put into practice their ambitions. Due to the investments made, in year 2004 new office and wholesale complex were built. It has a strategic location on the Via Baltica highway in “Tänassilma tehnopark” and company owns 1300m2 of wholesale and 360m2 of office area. We are always opened to new partnerships with companies who specialise in the spare part’s business. Company’s concept from the very beginning has been - acceptable prices, quality products as well as good and prompt service.